How do I know I’m seeing a trained orthodontist? What is an Occlusion and a Malocclusion? Can a child’s remaining growth correct an orthodontic problem? 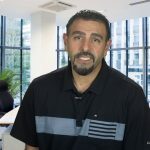 Do I need a referral to set up an orthodontic consultation? What is the purpose of the Complimentary iSmiles Consultation? How soon can I get my braces? How much will treatment cost? Do you offer payment plans? 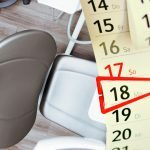 Will my dental insurance plan cover orthodontics? Does iSmiles Orthodontics offer retainer insurance? Do you offer braces that are more cosmetically pleasing? Will having braces affect my regular, every day activities? How often do I need to wear my rubber bands? What is the best type mouth guard? In case of emergency, what do I do? Orthodontics is the oldest specialty in the field of dentistry that deals with the diagnosis, prevention and treatment of malocclusions (improper bites) that can be caused by of tooth irregularity, disproportionate jaw relationships, or both. The name is derived from the Greek “ortho” meaning straight and “odontos” for teeth. An orthodontics specialist is called an “orthodontist”. According to the American Association of Orthodontists, orthodontists receive more formal education than dentists to specialize in straightening teeth and aligning jaws to create optimal function and form. Like dentists, they graduate from dental school. Then, to be an orthodontist, it takes an additional two to three academic years in an accredited orthodontic residency program. Orthodontists only practice orthodontics, drawing on tried-and-true and new orthodontic appliance technologies to get patients the best results. They also utilize a full range of orthodontic appliance “tools” – including braces, clear aligners and other orthodontic devices. They know what to use and when because they work with these tools every day. Plus they keep up on the latest developments through on-going education in orthodontic technology and practice. 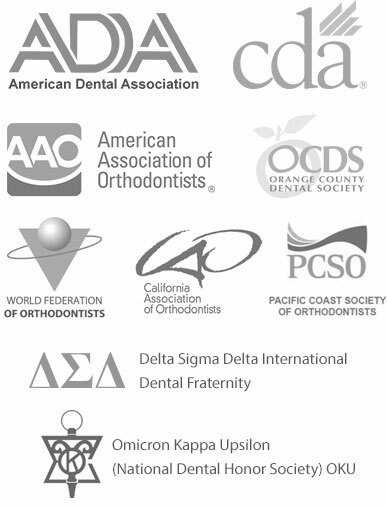 The doctors at iSmiles Orthodontics are active member of the American Dental Association, California Dental Association, Orange County Dental Association, American Association of Orthodontists, World Federation of Orthodontists, Delta Sigma Delta International Dental Fraternity, and Omicron Kapa Upsilon (National Dental Honor Society) OKU. All have also earned Invisalign® Preferred Provider status. Look for an orthodontist who is a member of the American Association of Orthodontists, as members have to verify their education in order to join. Almost anyone with occlusal problems can benefit from orthodontics so technically there is no “right age” for a first consultation. iSmiles Orthodontics highly recommends early intervention consultations, every six months starting at age 7, so we can monitor your child’s development and make the best recommendations. Age 12 to 15 is the most common time to start orthodontic treatment as gaps, crowding, issues with bite and alignment are easy detected by this time. However, surveys show that adults make up 25% of orthodontic patients because they want their teeth to look as good as possible – whether they’re 20, 30, 45 or 80. iSmiles Orthodontics offers a full roster of customized treatments that target the special needs of children, teens and adults. There is no age limit to consider orthodontics. Everyone wants that perfect smile, as well as healthy gums and a healthier bite. Orthodontic treatments for adults also target other issues, such as periodontal disease, gum recession, jaw disorders, as well as missing, broken or excessively teeth. It is never too late to improve your dental condition with orthodontics. According to the American Association of Orthodontists, “occlusion” is the relationship between your upper (maxillary) and lower (mandibular) teeth as they come into functional contact – when you bite, chew or close your jaws together. The way the occlusal (chewing) surfaces of any of your teeth come together affects the other teeth, as well as your gums, neck and head, plus your jaw muscles, jaw joint and your oral health. For a bite to be functional and esthetic, there must be a precise arrangement between the teeth, and a harmonious relationship between the jaws. “Malocclusion” literally means “bad bite”, which can be caused by crooked, crowded, misaligned or protruding teeth that do not fit together properly. It is a variation of the normal position of teeth that can impact the shape of a person’s face, and in severe cases can even affect eating, speech, and keeping the teeth clean. Other malocclusions are acquired – the result of thumb-sucking, tongue thrusting, dental disease, premature loss of primary or permanent teeth, accidents, or some medical problems. Left untreated, these orthodontic problems can become worse. Crooked and crowded teeth are hard to clean and maintain. This may contribute to conditions that may cause tooth decay, eventual gum disease and tooth loss. A bad bite can also cause abnormal wear of tooth surfaces, difficulty in chewing and excess stress of the supporting bone and gum tissue. No. Studies have clearly demonstrated that most occlusal and dental problems will deteriorate with time if they are not treated. Once the first permanent molars have erupted (around age 6-7), the available space for the anterior teeth will not increase, even in the presence of growth. In fact, this space will decrease over the years and the situation will only get worse. It is highly unlikely. Though growth helps an orthodontist when treating skeletal imbalances (jaw size discrepancies), growth alone will not solve the problem. By using braces and other orthodontic appliances during treatment, the orthodontist can optimally utilize a child’s growth potential – to obtain better jaw relationships. In certain cases where the growth pattern is really abnormal (such as when the lower jaw bites in front of the upper jaw), any supplemental growth could worsen the problem. These considerations are an important part of the iSmiles Orthodontics Early Intervention program. Absolutely. A tooth with a crown (or any type of restoration) can be moved the same any other tooth as long as its root(s) and surrounding tissues are healthy. If you are missing teeth, orthodontics can improve the alignment of the remaining teeth and enhance tooth replacement options for your dentist. In some cases where one or several teeth are missing, orthodontics can partially or completely close the spaces left by these teeth, which can either reduce or eliminate tooth replacement costs after orthodontics. No. While many iSmiles Orthodontics patients are referred by their general dentist, anyone who feels they can benefit from orthodontics can set up an appointment – and take advantage of our Complimentary iSmiles Consultation (a $500 value). have your immediate concerns and questions about orthodontic treatment addressed by your iSmiles Treatment Coordinator. Because every patient is unique, it’s difficult to precisely determine treatment costs without a consultation and precise treatment plan. During your Complimentary iSmiles Consultation we will evaluate the cost of treatment from start to finish, so there are no surprises. We also offer six flexible payment options from 0% In-Office Financing (with no credit checks) to working with your Insurance Plans to Flexible Payment Schedules – so you can choose the payment option that fits your budget. Insurance for orthodontic care is typically treated as a separate benefit in dental insurance plans. Benefits paid for orthodontic treatment are usually around 50% of the total treatment cost and usually have a maximum coverage. Our Treatment Coordinators will be happy to research your benefits and discuss them with you during your Complimentary iSmiles Consultation. In addition, they will assist you in filing claims and managing insurance questions. Yes! Created exclusively for iSmiles Orthodontics, our Retainer Replacement Insurance program is affordable and provides the patient with six single arch replacement retainers over a three-year period, following completion of orthodontic treatment. 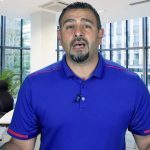 We are happy to provide this unique opportunity because we truly want to help our patients save money over the long haul. The frequency of office visits is dictated by specific patient needs and the progression of the corrections. Most iSmiles patients with braces are seen every 6 to 10 weeks. If a patient’s progress justifies closer monitoring, visits will be scheduled accordingly. Younger patients in our Early Intervention Program are seen every 6 to 7 months, depending on their dental development. The iSmiles front office team does everything possible to accommodate patient schedules. Because most of our patients are students it’s impossible to see everyone before or after school hours. The good news, however, is that we offer convenient hours 7 days a week, and since we only need to see student patients with braces every 6-7 weeks, they will not miss too much school due to orthodontic treatment. No. The doctors at iSmiles Orthodontics are firm believers in a “no extraction” approach to all treatments, so our patients retain all of their permanent teeth while having the teeth straightened. This is especially important in pre-teens and teenagers where crowded conditions can be corrected to create sufficient space for straight teeth to grow. The smile is visibly enhanced as it becomes wider and more noticeable. Generally, getting braces does not “hurt”. However, after certain visits – when braces are first put on the teeth or when major adjustments are made – some teeth can become sensitive for a few days. A light, over-the-counter pain pill (what you usually take for headaches), helps. iSmiles Orthodontics offers a number of different options when it comes to braces. 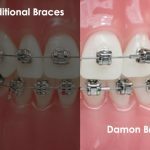 In addition to traditional Metal Braces, we offer Clear Ceramic Braces, Lingual Braces, self-ligating Damon® Braces, Invisalign® and Invisalign® Teen clear aligners. It’s up to the patient when it comes to determining what’s cosmetically pleasing! Like anything new it can take time to get used to having braces. Initially your teeth may be more sensitive, but braces never get in the way of enjoying your regular activities. Absolutely! It’s very important to keep up your regular dentist appointments throughout your orthodontic treatment. Braces and other orthodontic appliances will not prevent your dentist from doing dental examinations and cleanings. It’s best to brush within five minutes after eating anything, even if you’re just snacking, and especially after a meal. Brushing away cavity-causing bacteria helps keep your teeth cavity-free. Carry a travel toothbrush in a backpack, purse or briefcase to always have it handy for brushing away from home. Your braces and your archwires will make your teeth straight, but your rubber bands will make your upper and lower teeth fit together. When your teeth are straight and they fit together, your braces can be removed. Wear your rubber bands 24 hours per day, seven days per week. Remove them only for brushing and eating and then place them back on. Rubber bands need to be worn all the time to work effectively. When you remove the rubber bands, your bone cells stop working to make your teeth fit together. Missed wearing time makes your treatment take longer! Wearing braces will not prevent you from enjoying sports. The American Dental Association recommends that you should wear a mouth guard when you play any sport. 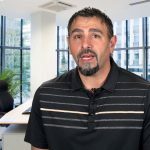 A properly fitted mouth guard is an important piece of athletic gear should be used during any activity that could result in a blow to the face or mouth. Mouth guards help prevent broken teeth and injuries to the lips, tongue, face or jaw. Some studies show they may actually help enhance your athletic performance. A properly fitted mouth guard will stay in place while it is worn, making it easy to talk and breathe. The goal is to find a mouth guard that fits well and is comfortable enough that you will wear it. A properly fitted mouth guard will stay in place while it is worn, making it easy to talk and breathe. Simpler models are a simple plastic shell more or less adapted to the dentition. Some manufacturers make guards just for braces with a bit larger fit and good protection to prevent cuts or lacerations from the braces. The best quality mouth guards are custom made from dental molds made by a dentist or orthodontist. Treatment duration depends on may factors, from the patient’s age and remaining growth to case complexity and patient cooperation in following instruction during treatment. Most treatments last from 12 to 30 months with an average of 20-22 months. iSmiles Orthodontics does offer the newest technologies, allowing us to complete many treatments within 15-18 months…even less. Each patient is given an estimated start to finish timing of the treatment plan outlined in their Complimentary iSmiles Consultation. The retention or passive phase is the period immediately after your braces are removed and your teeth have been moved to the treatment plan position. The goal is to stabilize the results obtained. This period may vary from one to many years. Fixed or removable appliances, called retainers, may be utilized to maintain the teeth in their new corrected position. “Emergencies” (problems requiring immediate attention) are quite unusual in orthodontics. After you receive your braces, we’ll review what to do if a problem occurs so you’ll be able to temporarily solve most of these inconveniences. You will also receive written information summarizing these instructions. If your braces are causing severe pain, discomfort or are broken, call our office. We can often provide a temporary solution over the phone but if necessary we will schedule an emergency appointment.